Perhaps more than any other season, Christmas is a time that families gather and celebrate traditions. Whether it’s indulging with one of their family’s years-old recipes, decorating their home a certain way or singing their favorite Christmas carols, almost every family does something special for the holidays. Some families have been celebrating their traditions for decades, while others are relatively new, but they all started the same way. Someone thought that their idea would be fun, and the rest was history. How awesome would it be to be the person behind one of your family’s Christmas traditions? What would it be like to have your idea be something your loved ones celebrate for generations to come? 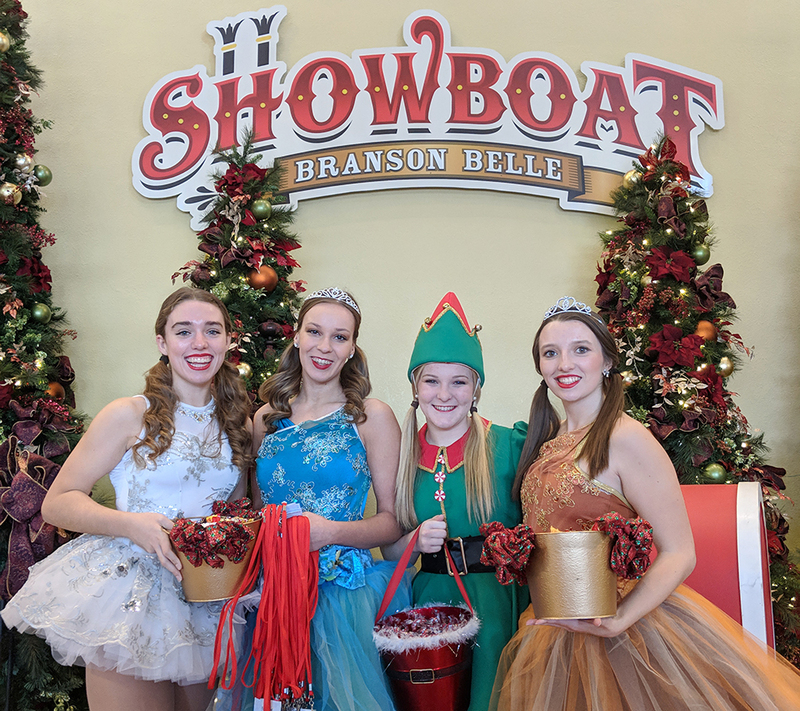 Here’s an idea we think your whole family – especially the little ones – can get on board with: Experience one of Santa’s Pancakes & PJs Cruises aboard the Showboat Branson Belle! With fun children’s activities, a delicious meal, a festive stage show and a special appearance by Santa Claus, these cruises are an unforgettable experience that everyone can enjoy. Here are 16 reasons why these limited-time Christmas cruises are the ultimate way to begin your family’s newest tradition! One of the best things about Christmas morning is wearing your pajamas, rushing down the stairs and seeing what’s waiting under the tree. 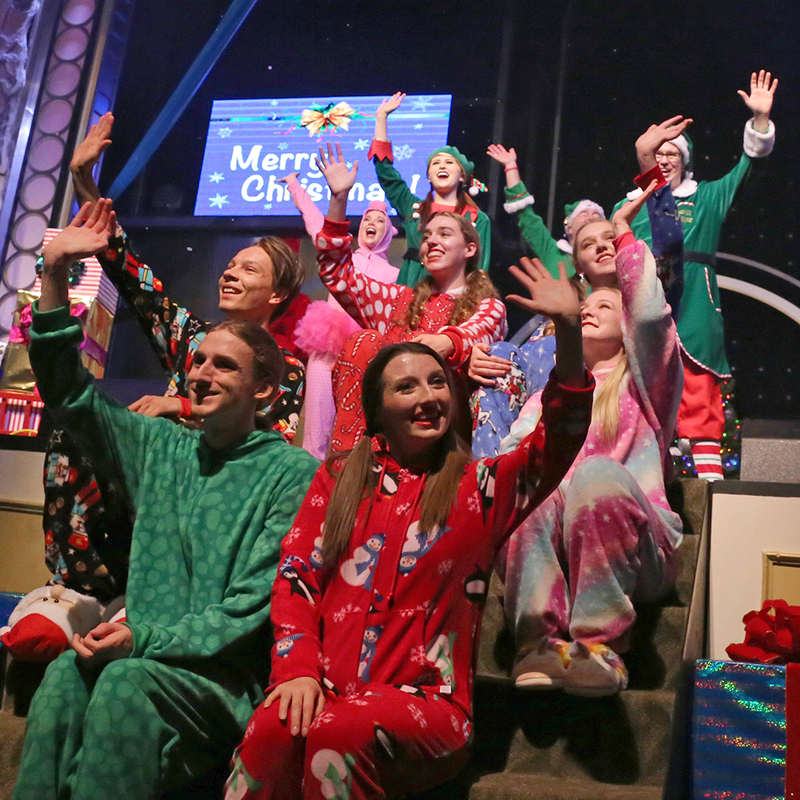 Santa’s Pancakes & PJs Cruises take that feeling to another level, as Santa invites everyone to wear their favorite Christmas jammies to the Showboat Branson Belle! Kids, mothers, fathers, aunts, uncles, grandparents, cousins – everyone is invited to join in the fun! With numerous photo opportunities throughout the morning, this might be the perfect setting for your Christmas card. Don’t worry about cold temperatures – apart from an optional visit to the top deck, all of the activities are held inside the boat. Not only will you look great, you’ll be nice and warm, too. One of the biggest obstacles to starting a tradition is getting everyone together. 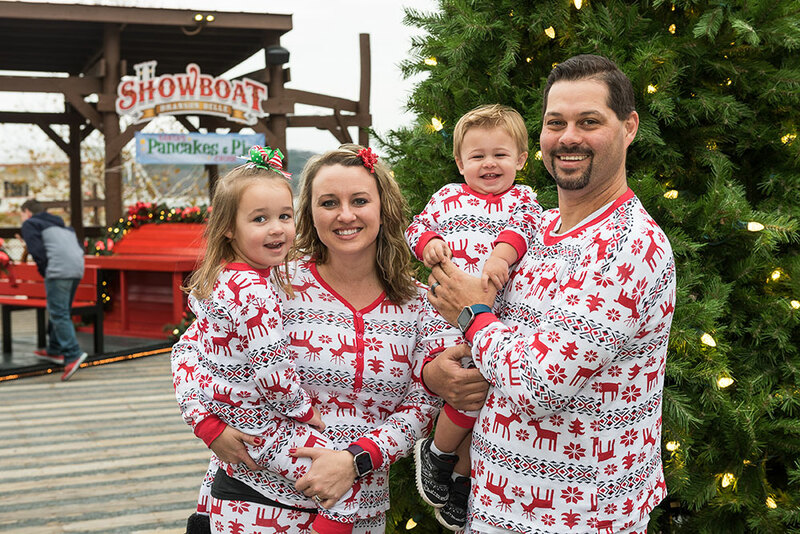 Santa’s Pancakes & PJs Cruises depart at 9am every Saturday and Sunday through December 23, with additional noon cruises on Sundays beginning November 25. With so many options, chances are you’ll be able to find a time that works for everyone. Remember to arrive early, as activities begin one hour prior to your cruise time. 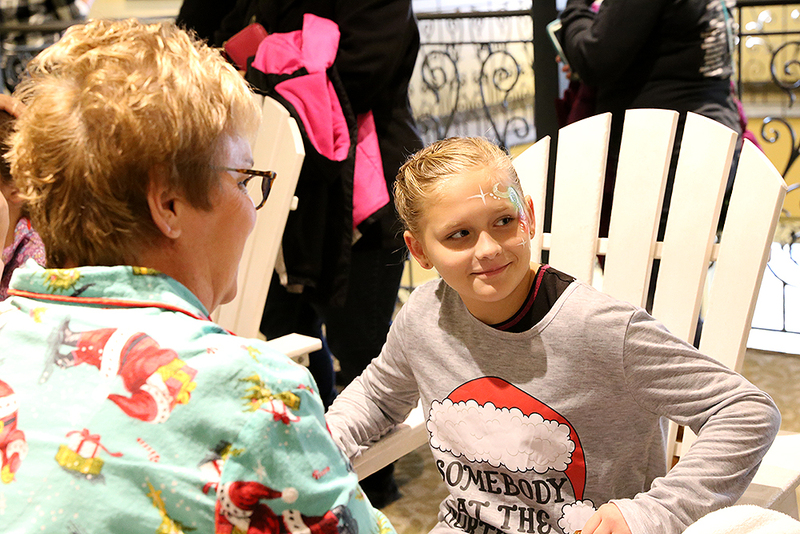 The first of these activities begins the moment you board the Showboat, as our cast of characters is waiting for you in the atrium. You might encounter a sugar plum fairy, toy soldier, elf or a gingerbread man. Be sure to pick up a “Nice List,” which outlines the fun things you can do before the cruise begins. 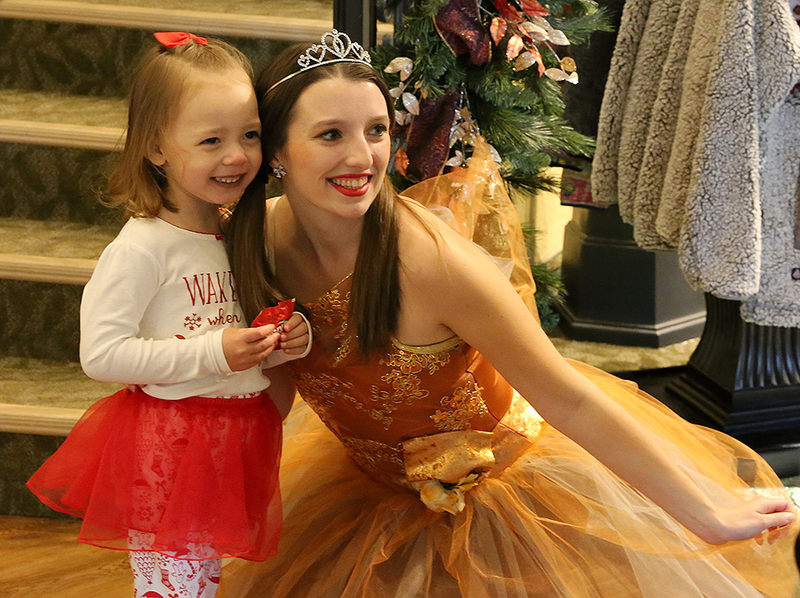 Even more sugar plum fairies can be found throughout the Showboat, so you’ll want to explore each of the vessel’s four decks. You’ll find an endless supply of sweet treats, photos, hugs and high-fives. 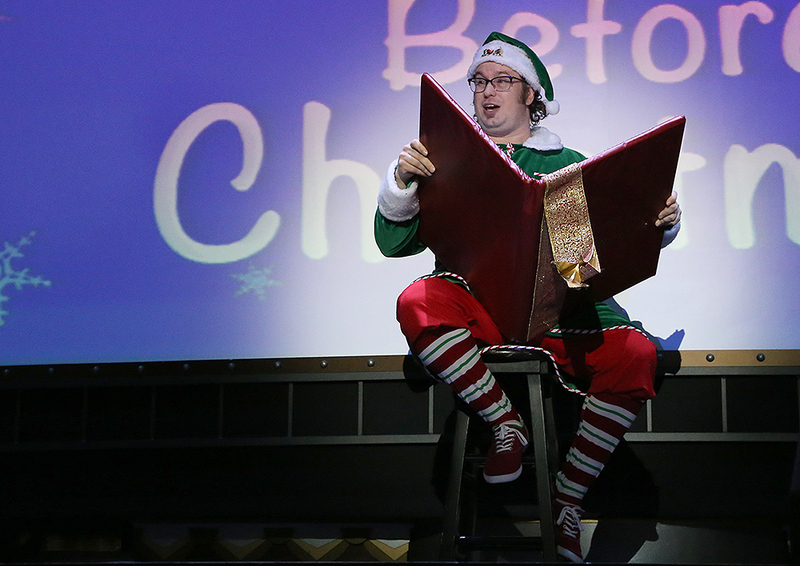 More of Santa’s helpers are waiting for you on the Showboat’s third deck. Get a little cheer for your cheeks with festive designs like reindeer, snowmen, Santa hats and more – all included with your ticket. 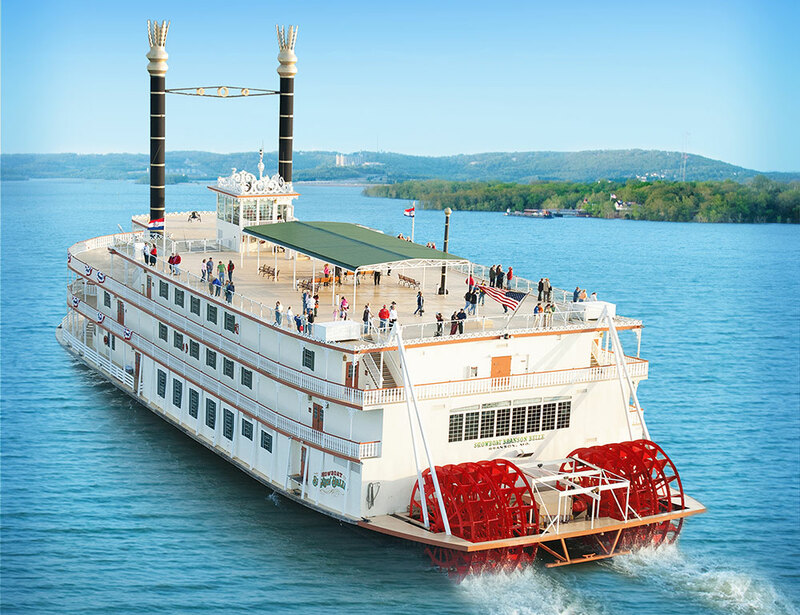 Journey to the wheelhouse at the very top of the Showboat Branson Belle and get an unbeatable view of Table Rock Lake. Plus, get an early Christmas gift from the captain and pose for some photos with him. After you’ve finished exploring the boat, take your seats in the theater. Mrs. Claus has baked some fresh Christmas cookies and she needs your little one’s help with the final touches. You might even see Santa’s wife wandering around the Showboat. She’ll be more than happy to take some photos with you! 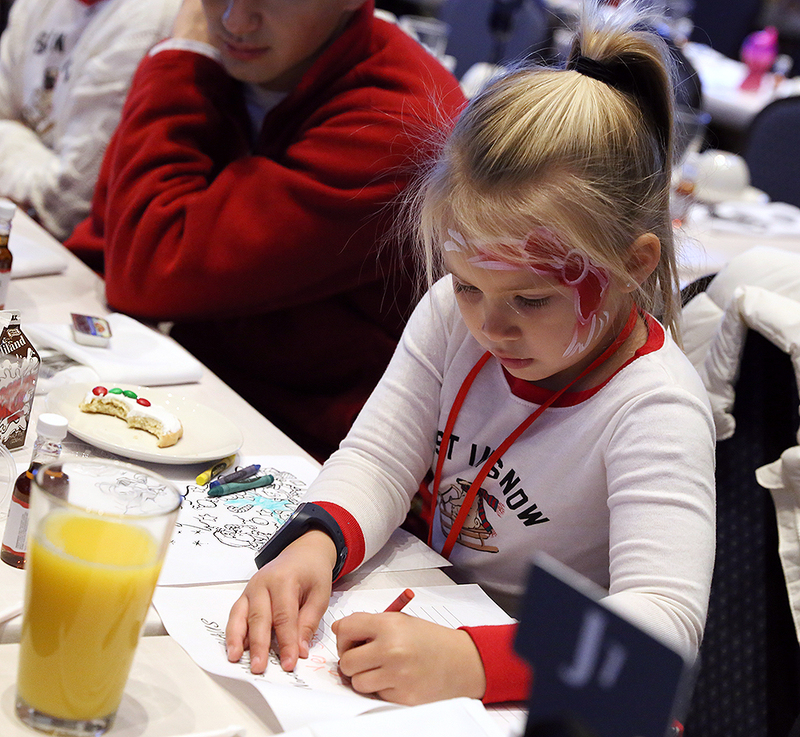 Your little ones will also find some crayons and paper at their seat. They can use these to color or write down their Christmas Wish List for Santa himself. Once you’re ready, head back to the atrium and drop your letters in Santa’s Mailbox. Don’t worry — same-day delivery to the North Pole is guaranteed. 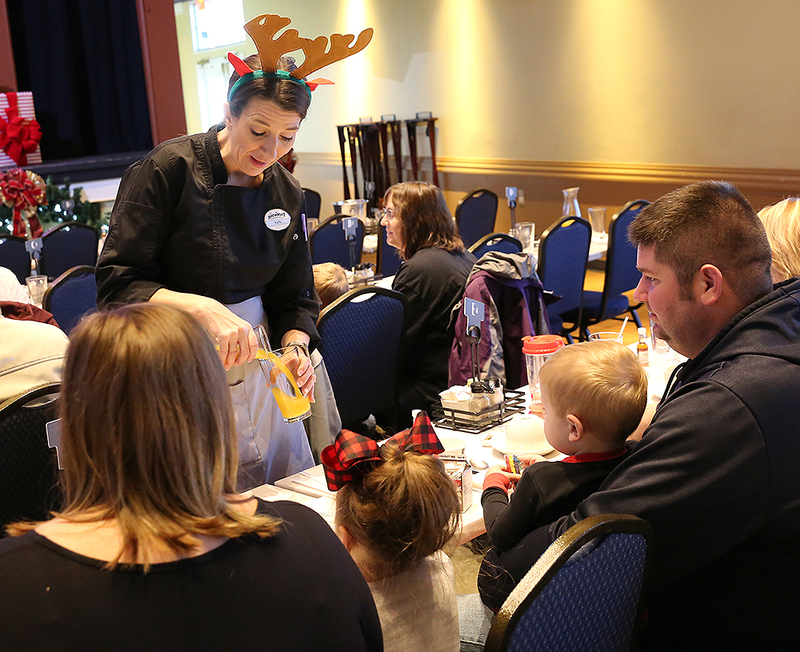 Santa’s chef has prepared your family a special breakfast featuring pancakes, sausage and more. Your servers will also show off their Christmas spirit with fun costumes that are straight from the North Pole. Two of Santa’s elves, Hugo and Ruby, are also visiting from the North Pole, and they’ll lead the morning’s entertainment. As you eat your breakfast, you’re invited to join in a sing-along of some of your favorite Christmas songs – just make sure to do it between bites! 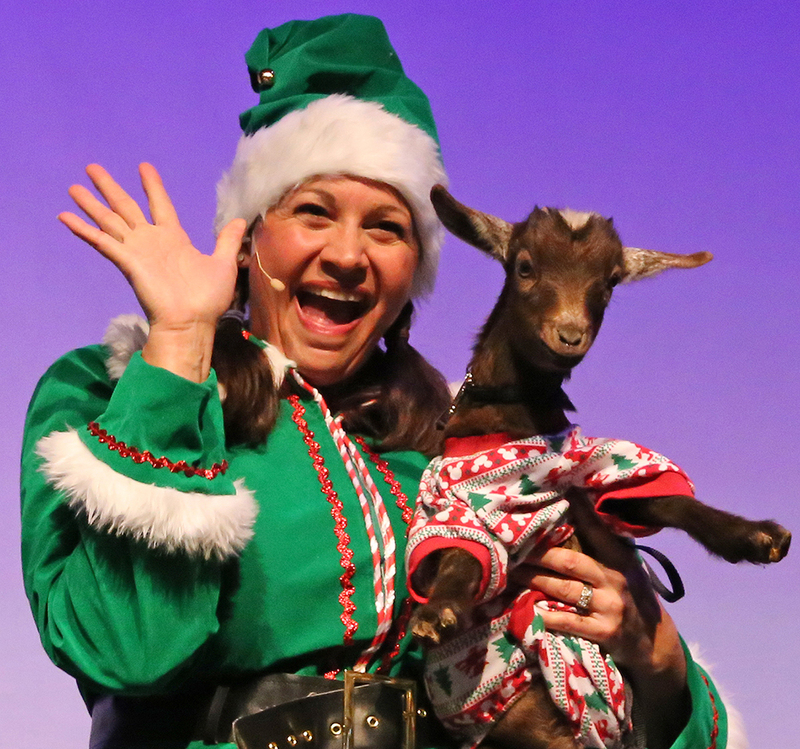 The pre-show entertainment also includes some special guests from Branson’s Promised Land Zoo, who have gotten into some adorable mischief during their visit to the North Pole. Your little ones will learn about each of these animals as Hugo and Ruby help the zookeepers get everything back to normal. The fun continues as Santa’s elves carry on a tradition of their own – reading “Twas The Night Before Christmas.” With Hugo and Ruby in charge, though, you know some hilarious hijinks will ensue. 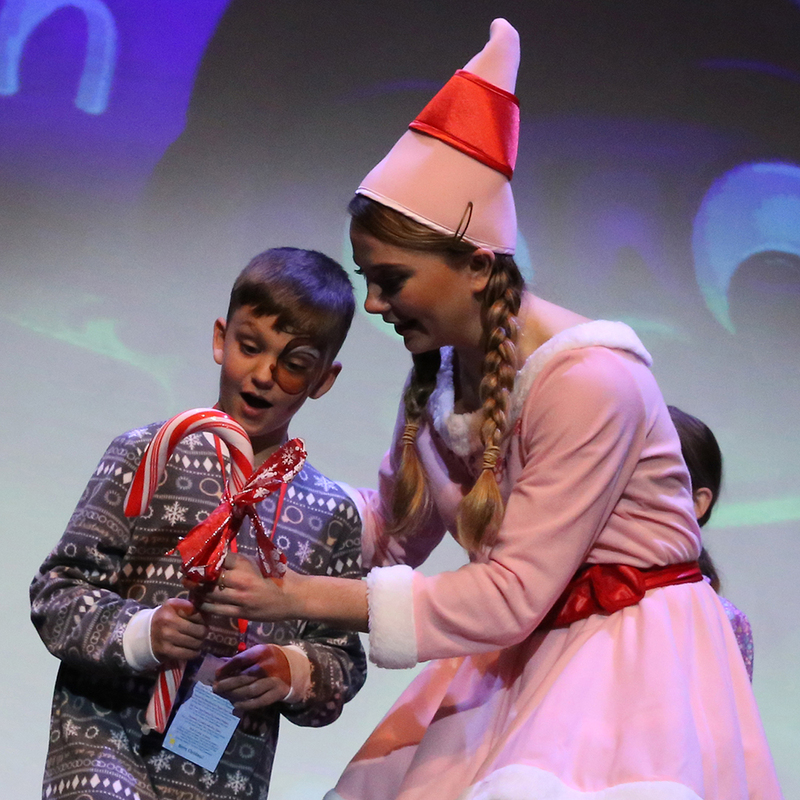 Your little ones might be invited on stage to be a part of Hugo & Ruby’s favorite game show – “Are You Smarter Than An Elf?” If they know the answers, they’ll take home an extra special prize from the elves. The day’s main entertainment, the annual North Pole Talent Show features singing, dancing, comedy and a few surprises – like a giant dinosaur – plus a very special appearance from Santa Claus himself. 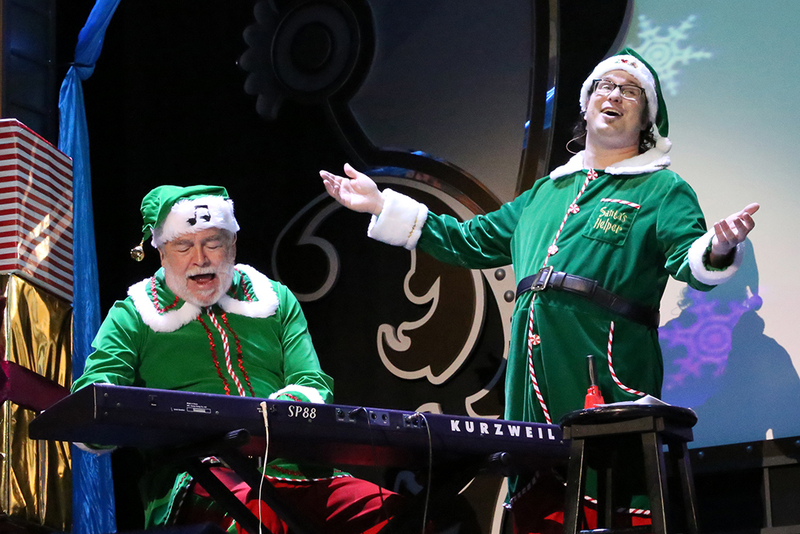 After the show concludes, Santa will be in McAdoo’s Boatworks on the Showboat Branson Belle dock. Bring your little ones by to share their Christmas wishes and take a photo with Jolly Old St. Nick. With so much to experience, these cruises are an incredible – and affordable – way for the entire family to spend quality time together and make unforgettable Christmas memories you'll want to relive time and time again. Kids ages 2-9 are only $27 plus tax, while ages 10+ are only $35 plus tax. There is no charge for children less than 2 years of age, but they do require a free ticket to board the ship. 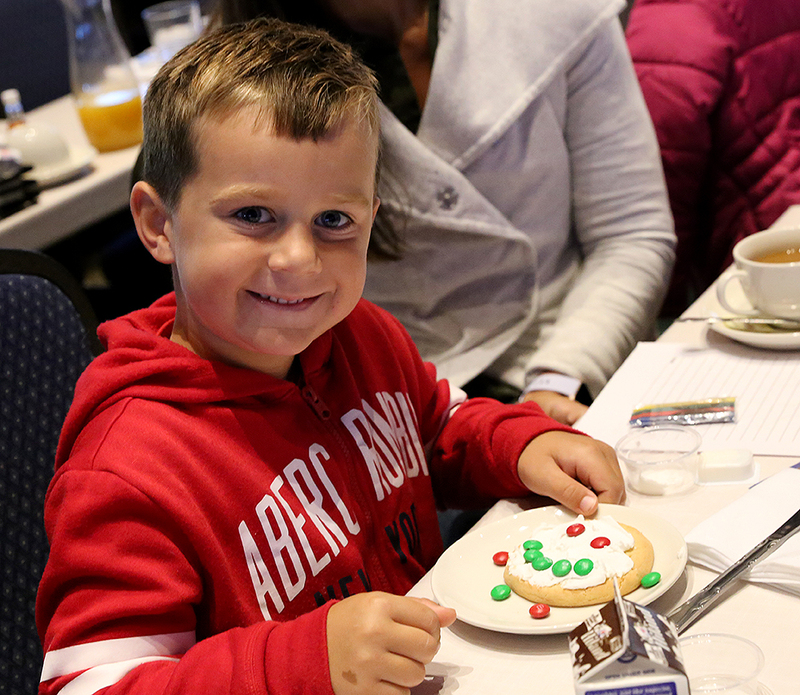 From the time boarding begins until the time Santa leaves the dock, a Santa’s Pancakes & PJs Cruise lasts about 2.5 hours. 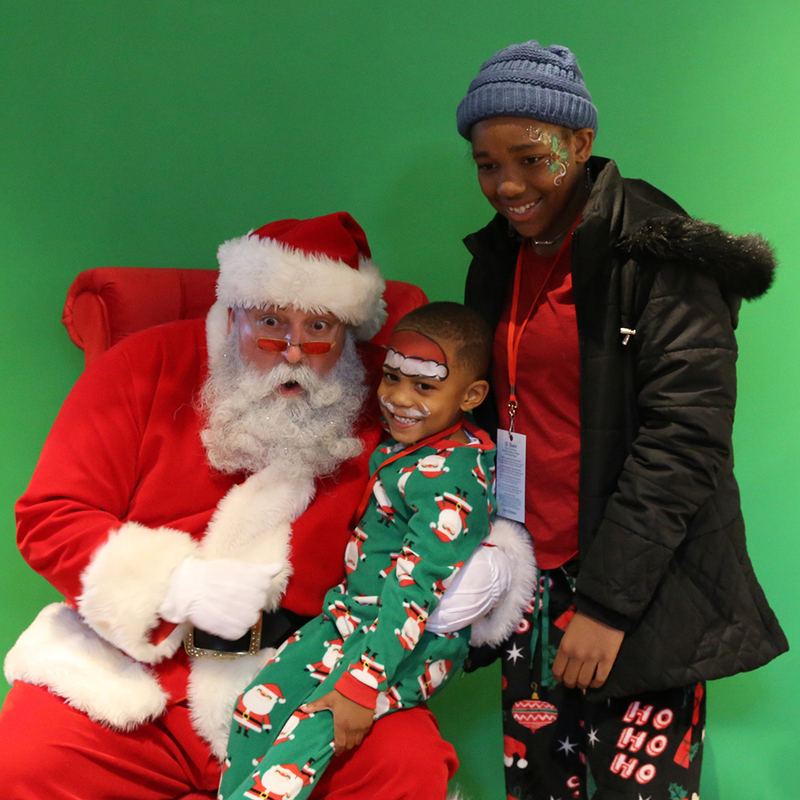 All of the above activities are included with your ticket, though professional photos with Santa are an optional purchase. Cruises are selling out fast, so don’t miss the boat — get started on your next Christmas tradition today!